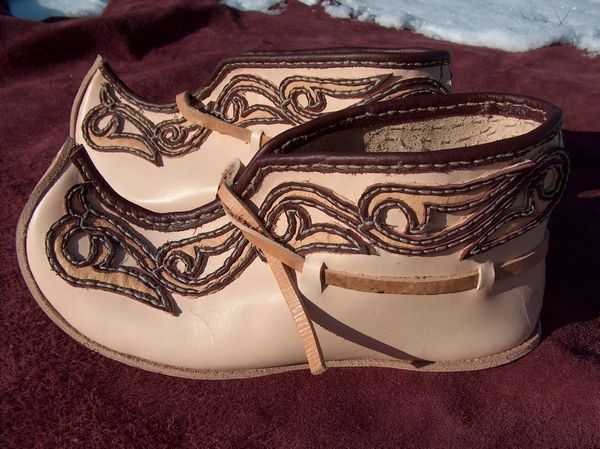 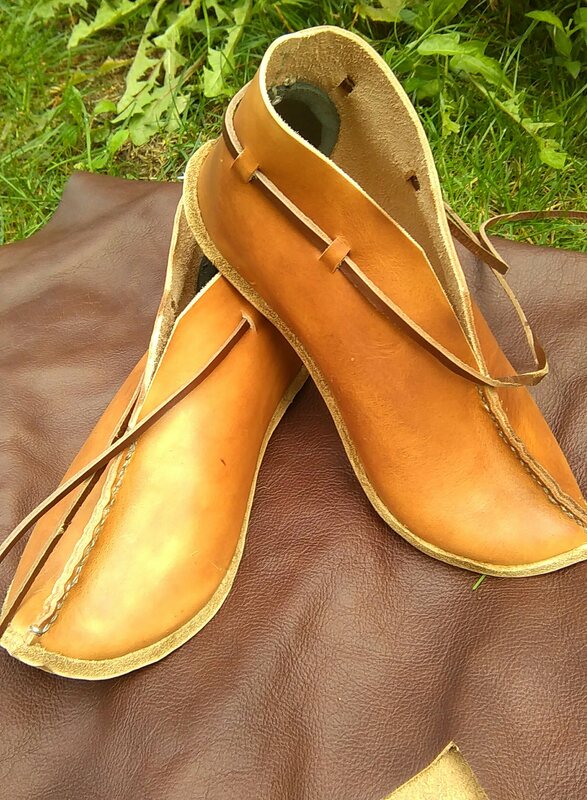 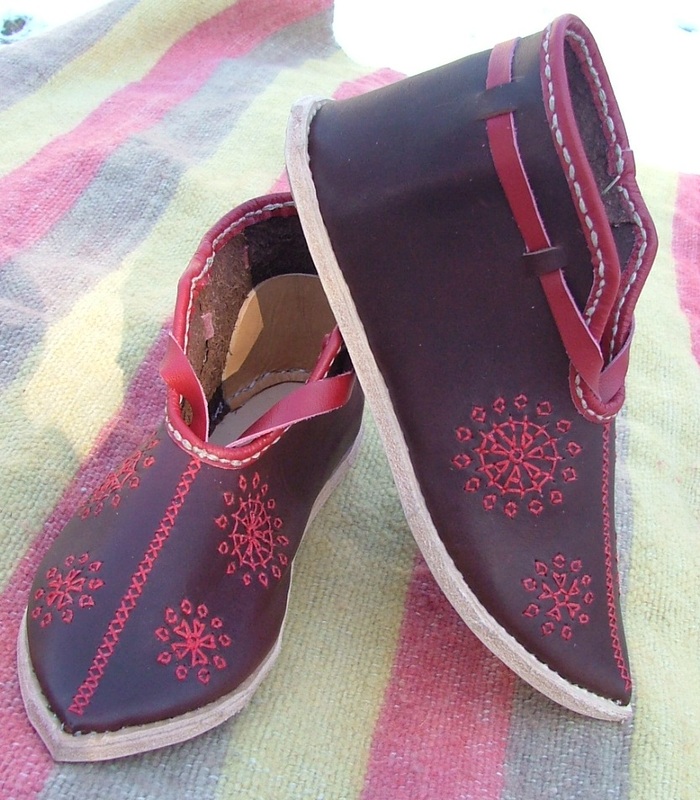 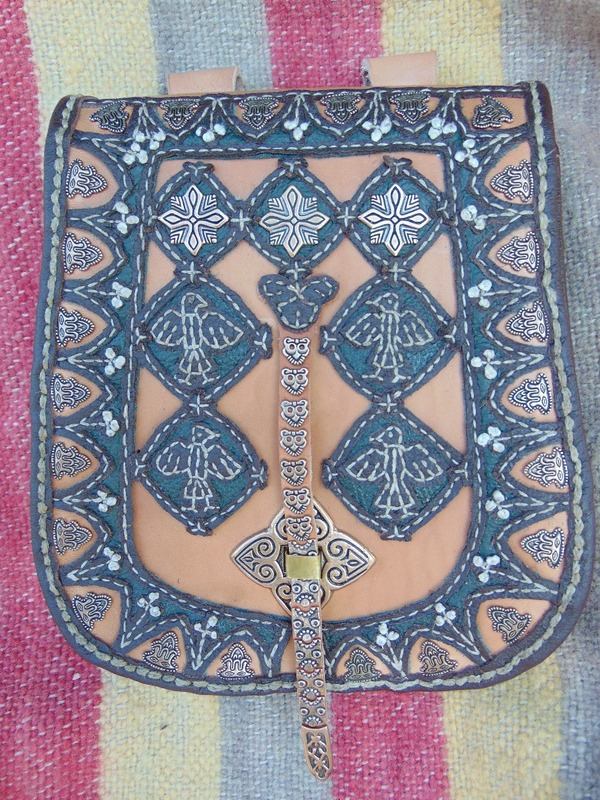 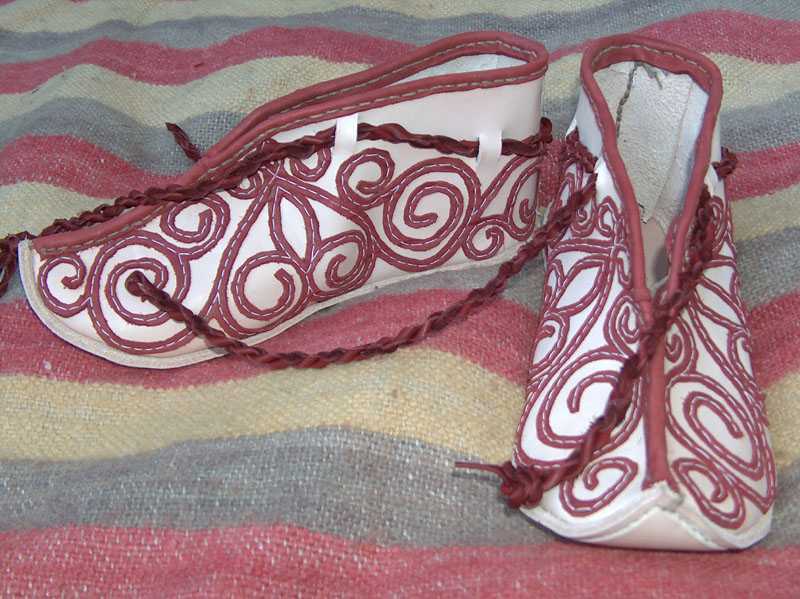 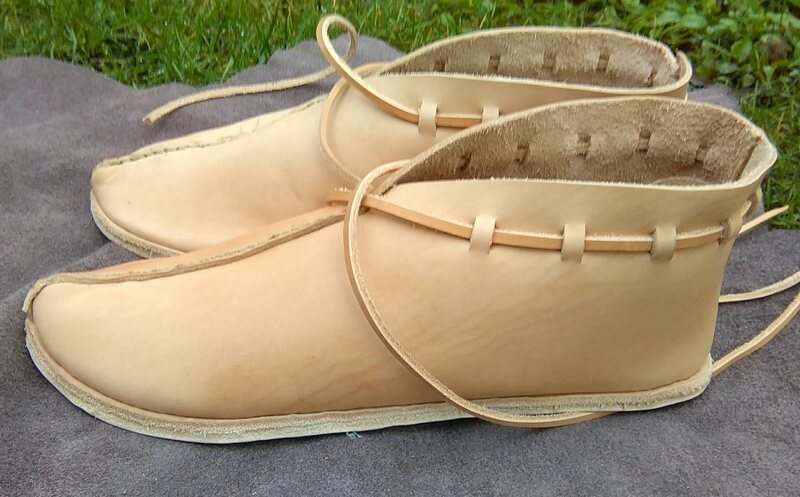 3.8 Medieval ladies shoes with applique. 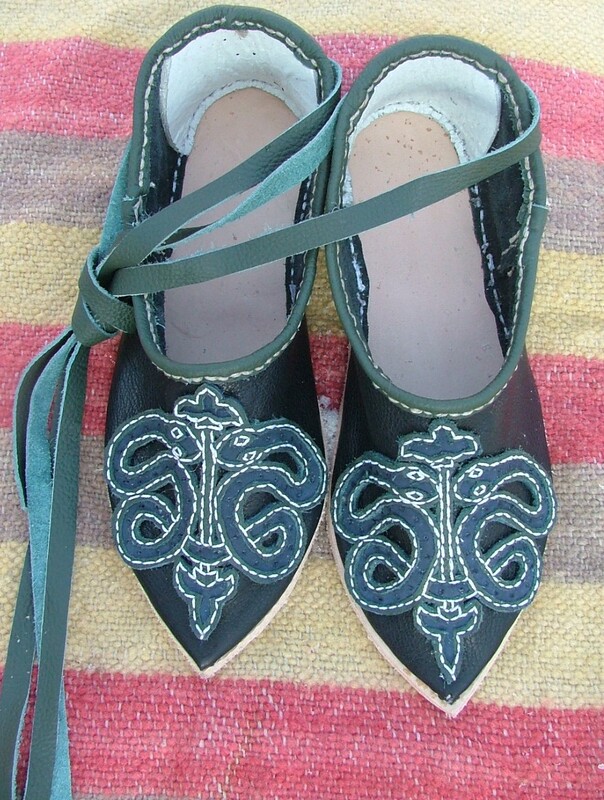 3.9 Lady's shoes with a snake ornament. 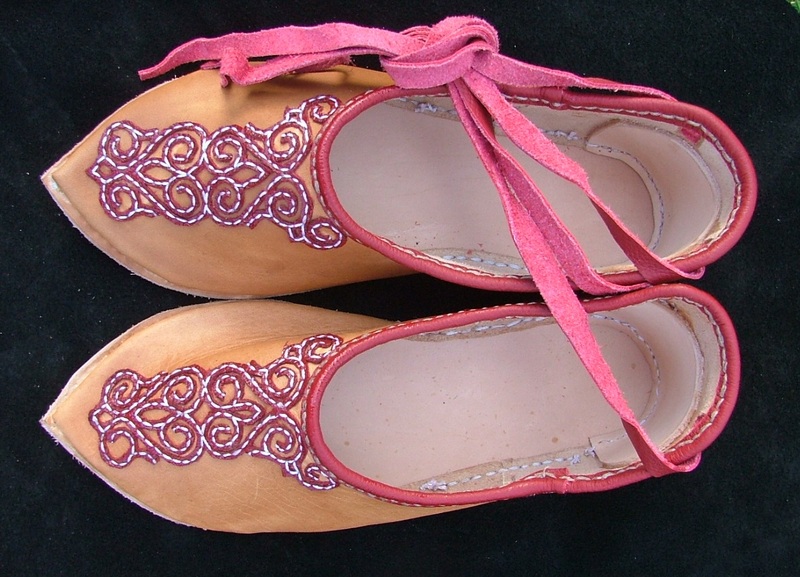 3.12 Magyar shoes, richly decorated. 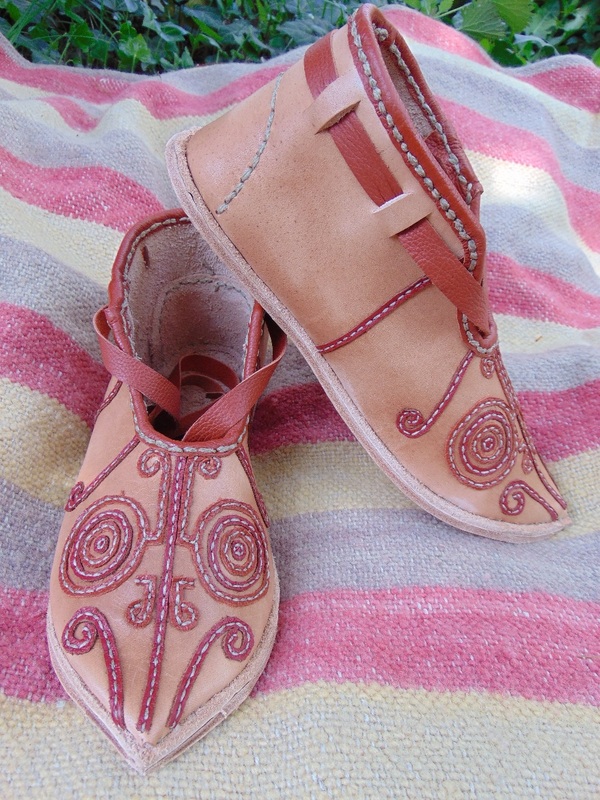 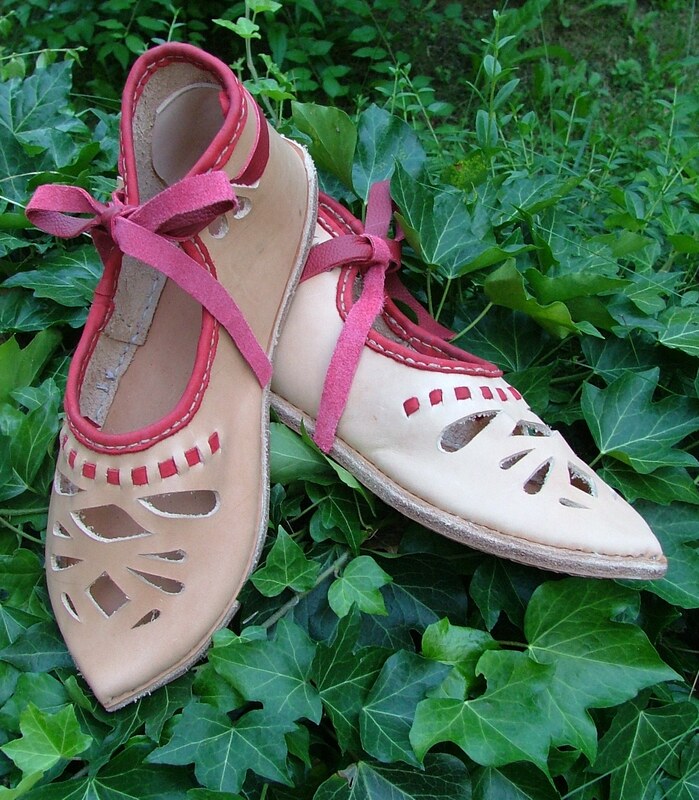 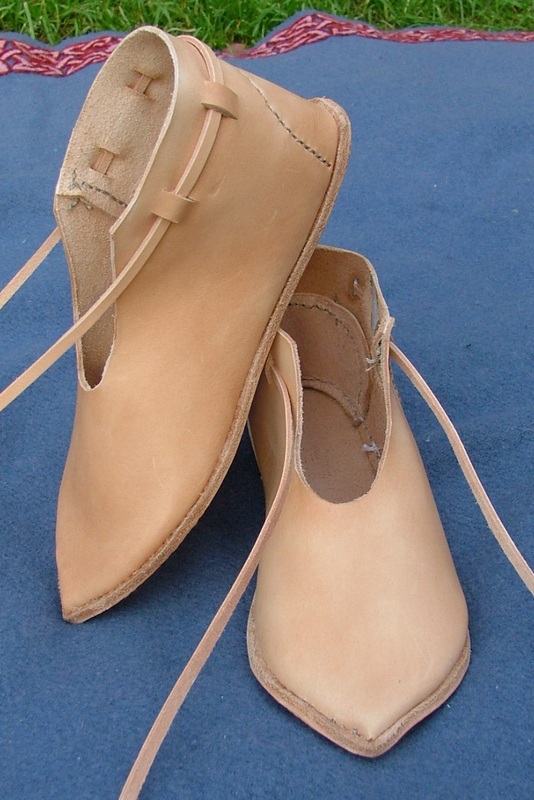 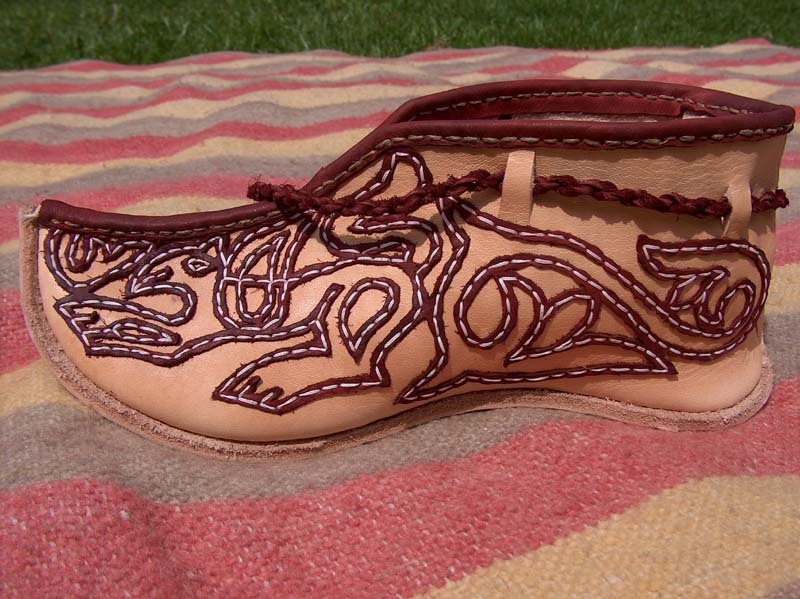 3.13 Shoes with leather applique. 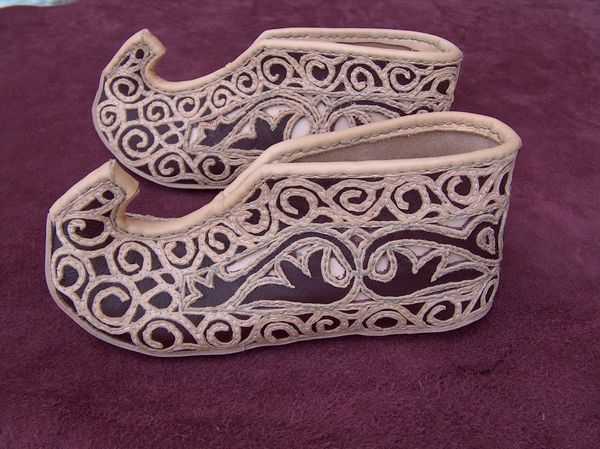 3.14 Medieval leather shoes with an animal ornament. 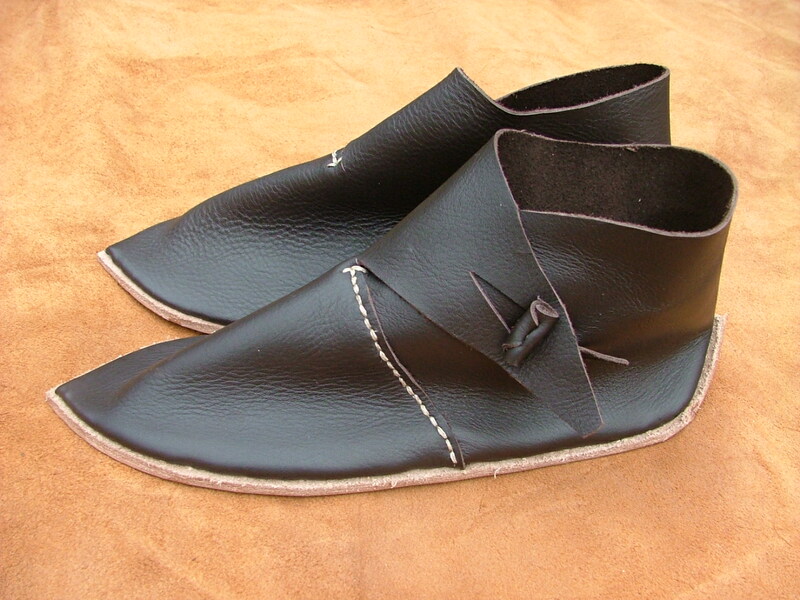 3.15 Leather shoes with high tops and leather applique. 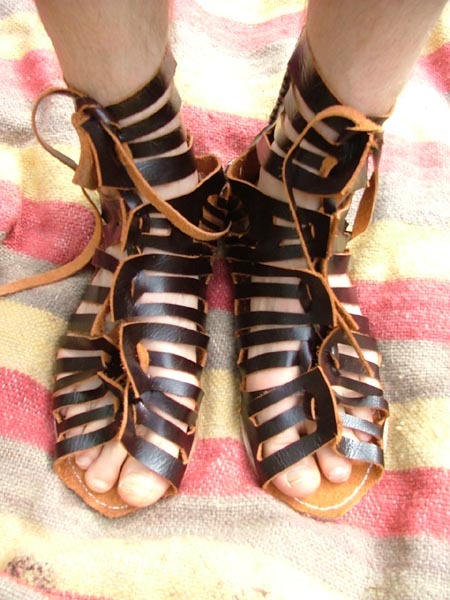 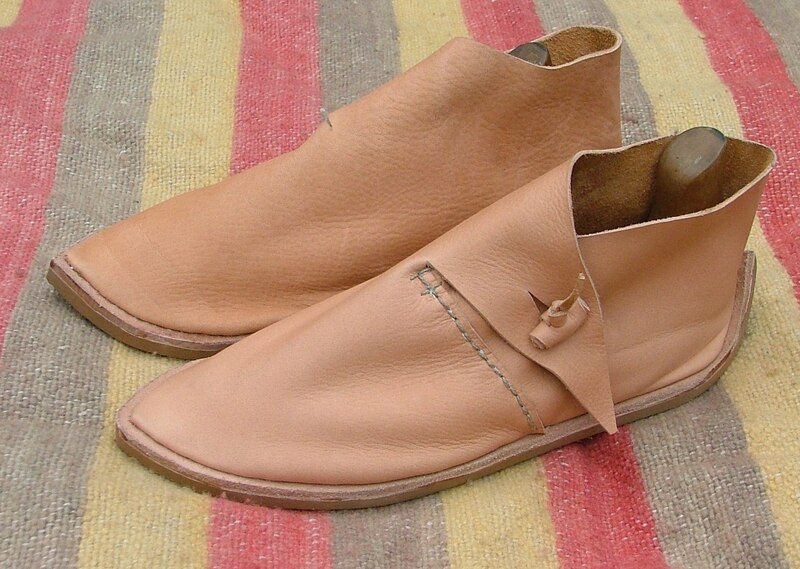 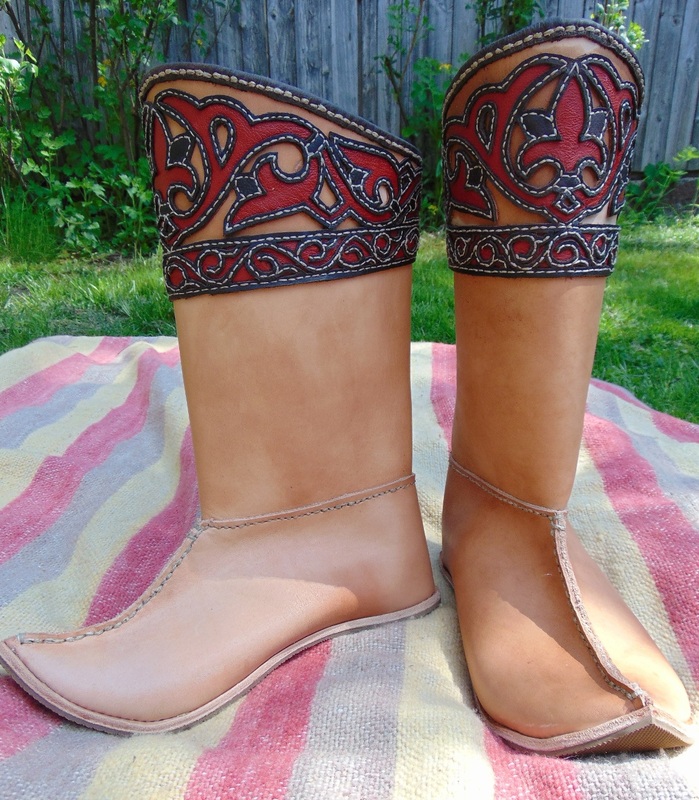 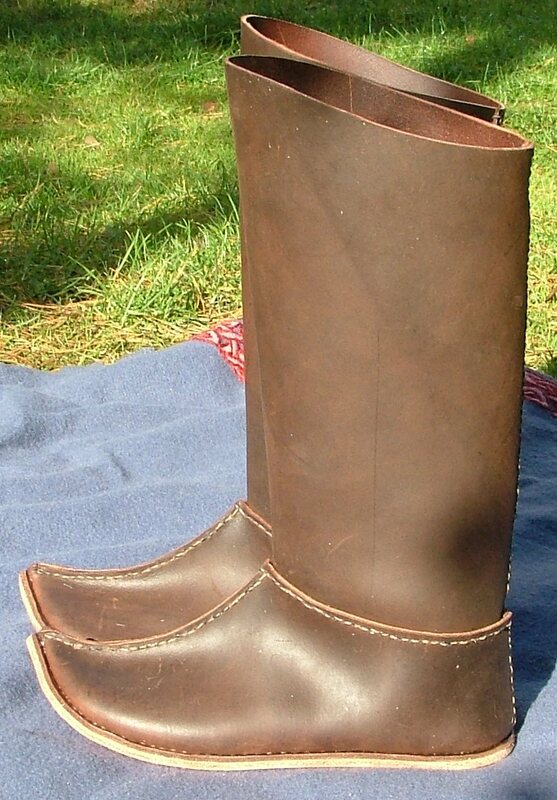 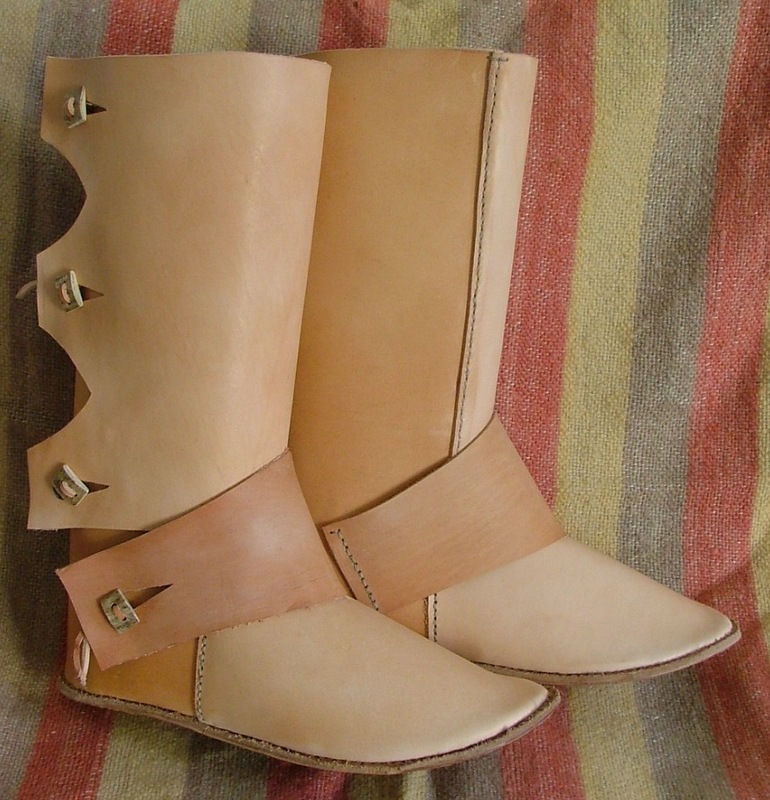 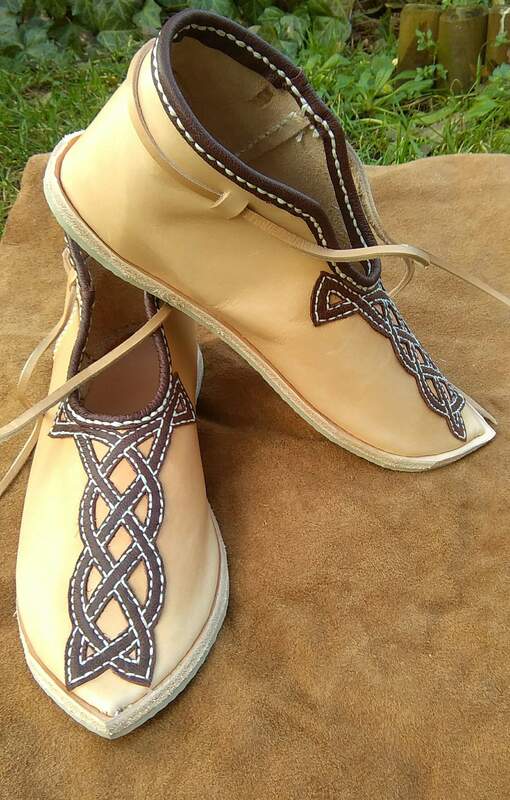 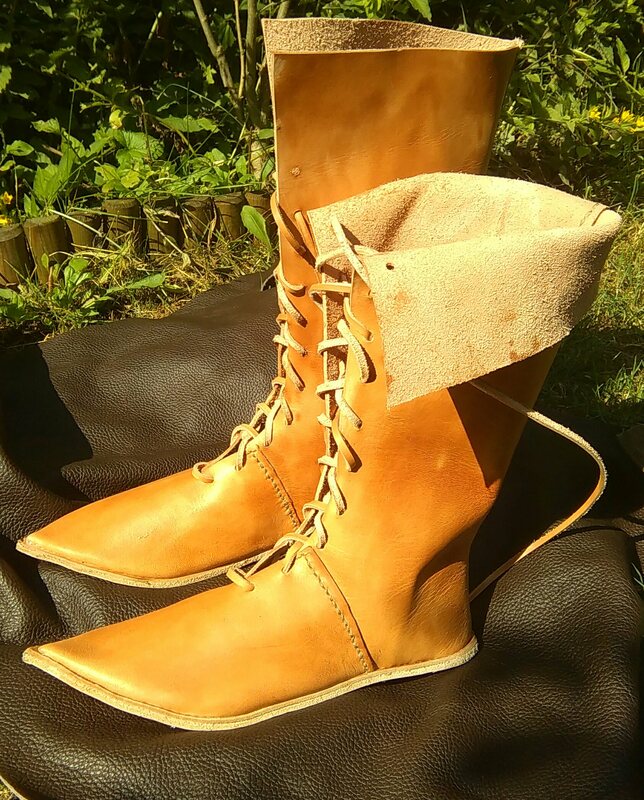 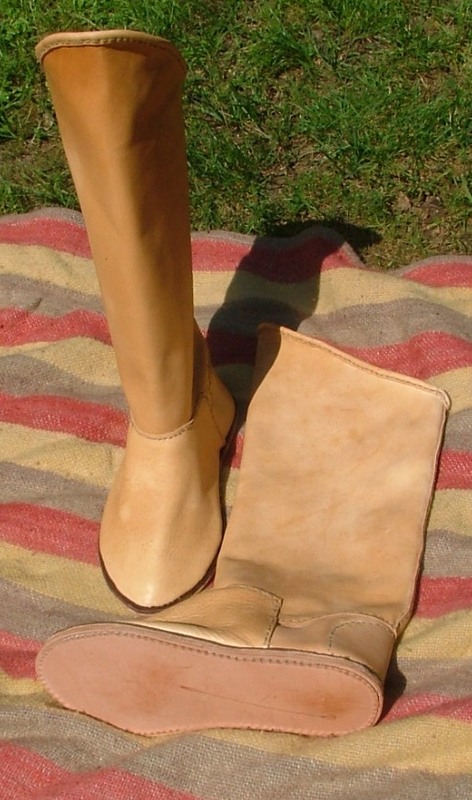 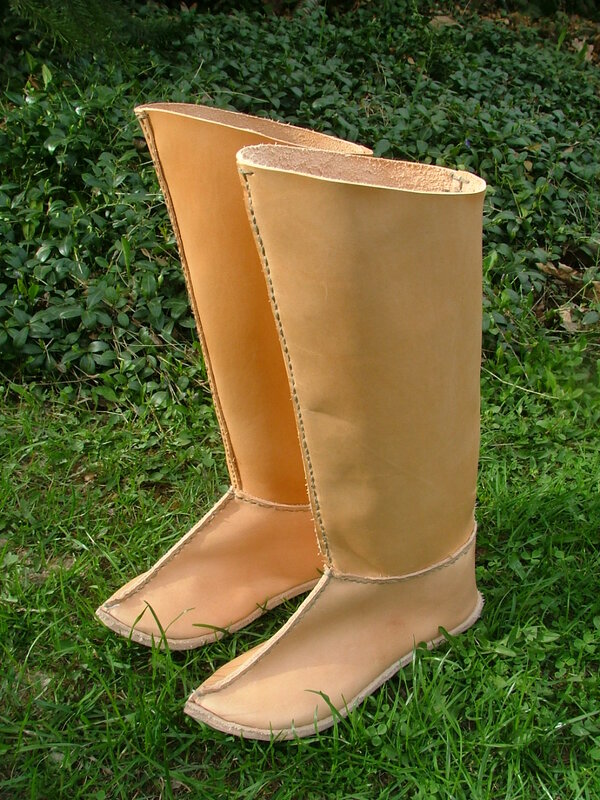 3.17 Varangian boots with horn buttons. 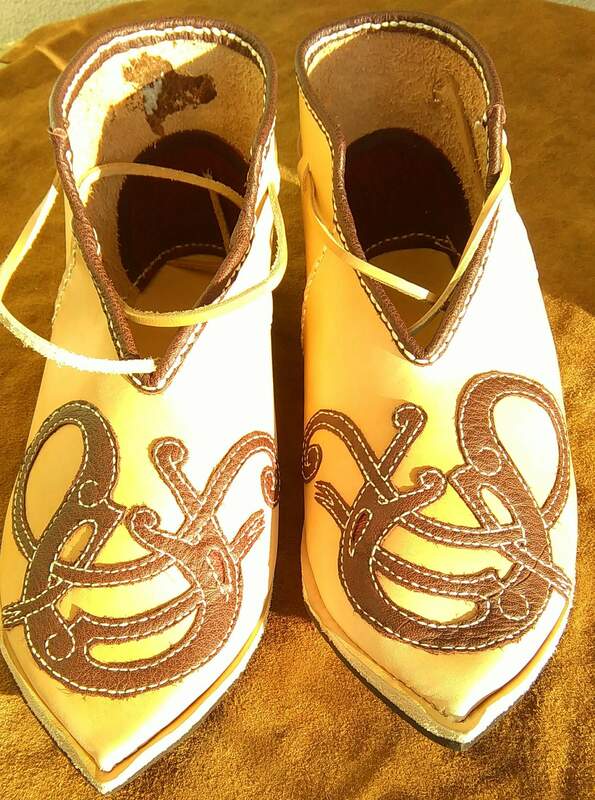 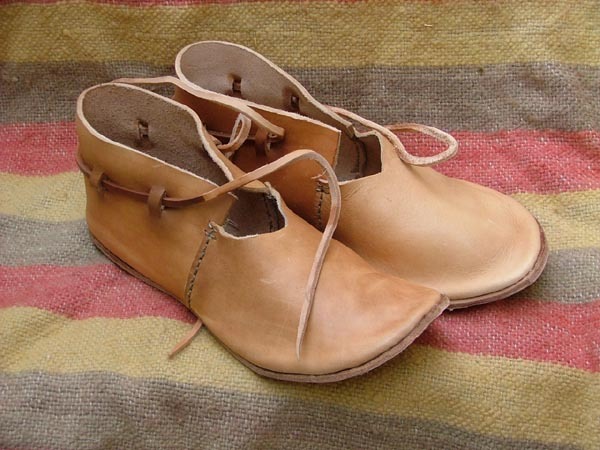 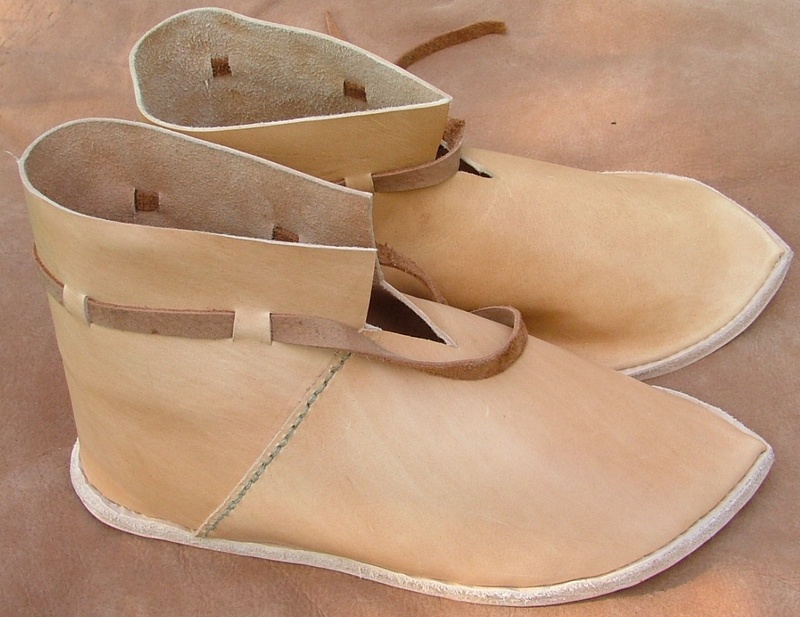 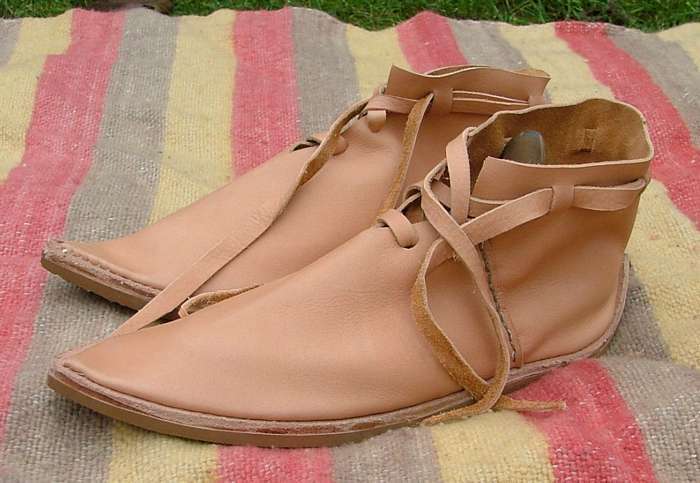 3.19 Open-work medieval leather shoes with embroidery. 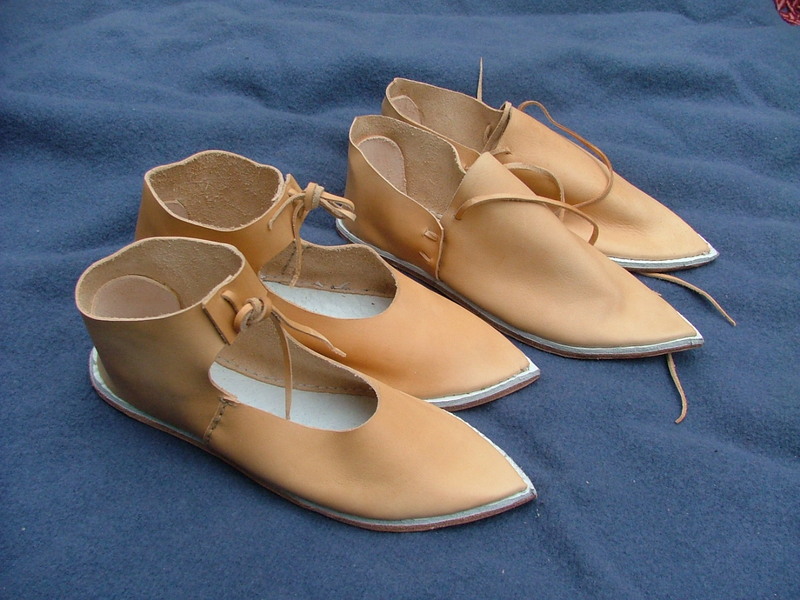 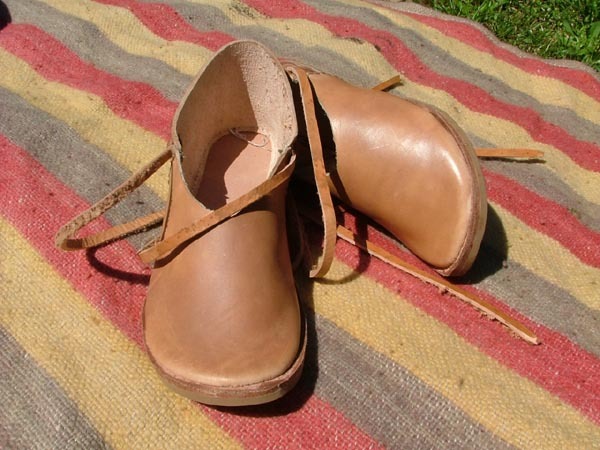 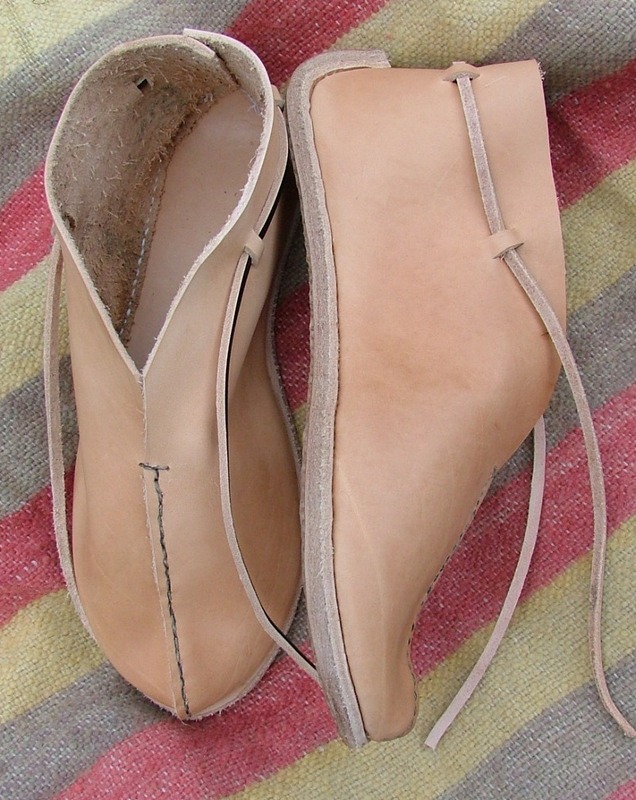 3.21 Late medieval leather lady's shoes. 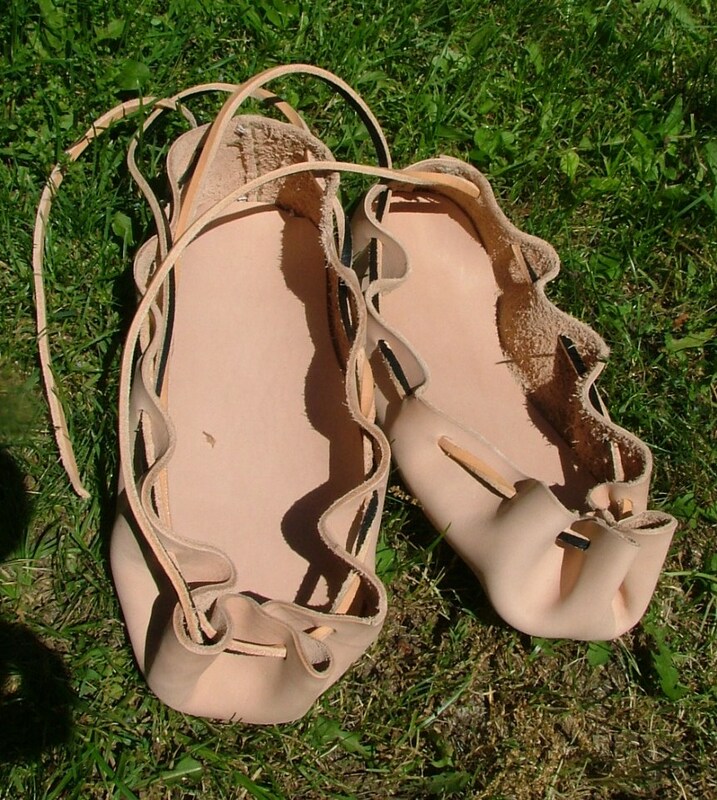 3.24 Shoes with raised heels. 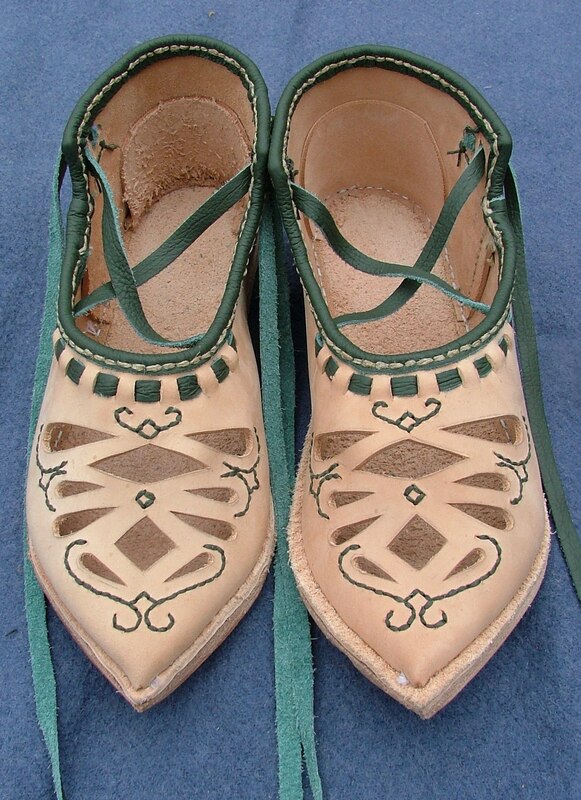 3.26 Medieval shoes for a lady. 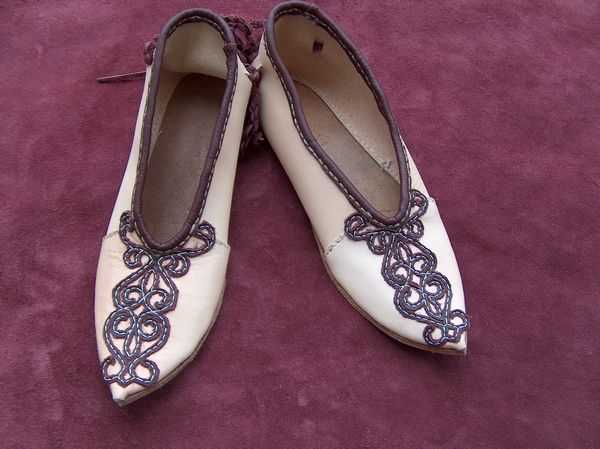 3.30 Lady shoes with a plating.